Native River produced one of the finest front-running performances in Cheltenham Gold Cup history, as the Colin Tizzard-trained superstar fended off Might Bite in a tremendous duel to land the blue riband event at the 2018 Cheltenham Festival. Sent to the front from the flag fall, Richard Johnson got Native River jumping superbly, and he was tracked by favourite Might Bite, who was cruising just behind the leader, and while the likes of Our Duke and Definitly Red failed to maintain their effort, it was left to the front to battle it out in a gruelling finish. 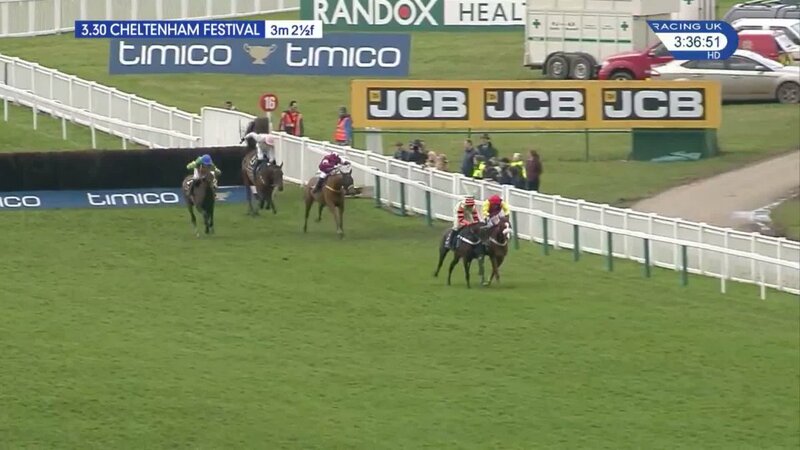 Turning for home it appeared that Nico de Boinville was going to try and breeze past Native River on board Might Bite, but as the Nicky Henderson-trained runner tried to past last year's third placed runner it was Native River that just found that little bit extra. Jumping the last Might Bite was trying to reel in the leader, but was unable to find enough in the locker, and it was former Welsh National champion Native River that managed to find some more energy, and he went on to win by four-and-a-half lengths with Might Bite finishing a brave second, while Anibale Fly stayed on for the third in a classic.